Secretary General of Manpower and Government Restructuring Program (MGRP) Fozi Al-Majdali on Monday affirmed significance of the second “forum and thousand’s projects exhibition,” designed to encourage free enterprise. 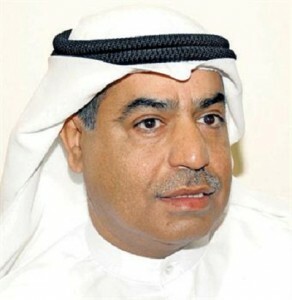 The five-day event, due at the International Fair Ground in Mishref on June 22, aims to back up the “country’s development, guide the youth to work in the private sector and create work opportunities for them,” said Al-Majdali in a statement. He indicated the state continuing efforts to support the national labor and work in the private sector as a “main foundation of the national economy.” Small and medium enterprises “play a significant role in developing the national economy, boosting free labor in addition to increasing and diversifying domestic output,” he said. Holding this fair for the second year affirms unprecedented success that has been made in the previous exhibition, with participation of hundreds of small, medium enterprises and various handicrafts. Young entrepreneurs are scheduled to lecture about their experience at sideline seminars. The event will also draw a number of businessmen and figures from GCC countries and Yemen.